It was cold, December in Eastern Europe is worst than i thought. But the beautiful scenery had our adrenaline rushing to go to explore the city. Heroes Square was our first stop, it is ancient! One of the oldest World Heritage site around as it opened in 1896. You can instantly feel the power that it exudes by standing in front of the Millennium Monument. Behind you, you have the massive square and a straight road that you can’t see the end of it and this towering statue in front, then surrounded by the curved columns of “heroes”. What made the experience better was that the sun was setting, nights falling upon us and the sky was breathtaking. Compare to Hong Kong, the low-rise building in Europe gives this optical illusion of close proximity between the sky and the ground. I swear, if you are in Hong Kong you will realize that the sky always seem so far from us; because of the skyscraper around you. 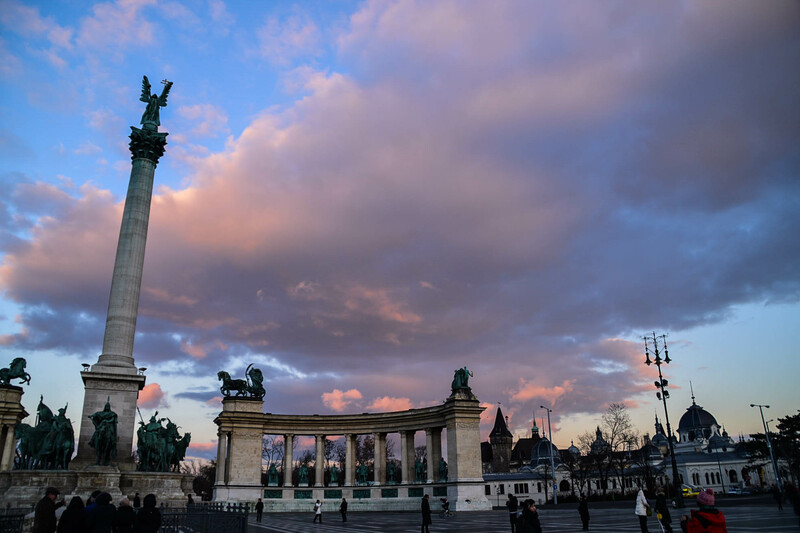 The sunset started to paint the clouds with pink and violet, with the statues around. It was certainly picture perfect. I suggest that if you have more free time, go on a tour which shows you around in the nearby museums. The Hop-on Hop-off sightseeing bus is not a bad option for economical way of getting around in the city. And it takes you directly to the attractions! Can see more info on Tripadvisor. Debatable, but it certainly belongs in one of the top. But we didst need anymore debates, me and my brother were getting along fine, we slowly started to turn into 2 kids again. Super excited and curious. 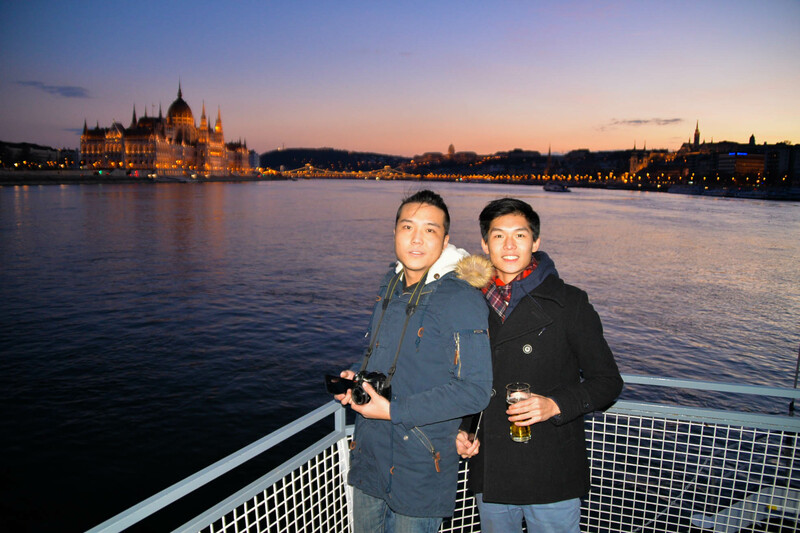 You can’t experience the true beauty of it until you get on on the river cruise. The timing was perfect as it still hasn’t gotten completely dark, the sky was clear and the water reflected the dimming sky gently with street lights flickering as the waves ripples. Seagulls and other birds flew back to their nesting area in groups. Its picture perfect and exactly how you would imagine Europe to be. With the first beer of the day, everything got even better!! Despite the cold wind, being on the top deck is a must. Viewing this with even a thin glass in between would be a waste of time. I wanted to feel the city, feel the night and the scenery. It was amazing. 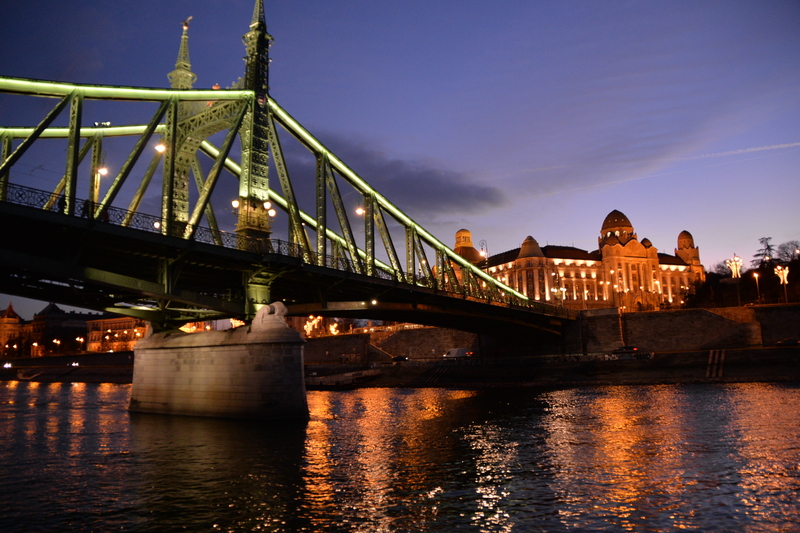 When we were passing under the Chain Bridge, you could hear people talking, train and cars passing. The view on both sides were magnificent; The Hungarian Parliament Building which reminded me of the UK’s parliament building, but i have to say Budapest won if you have to compare. It was glittering in gold with the light projection and it all reflected onto the river. Stunning! 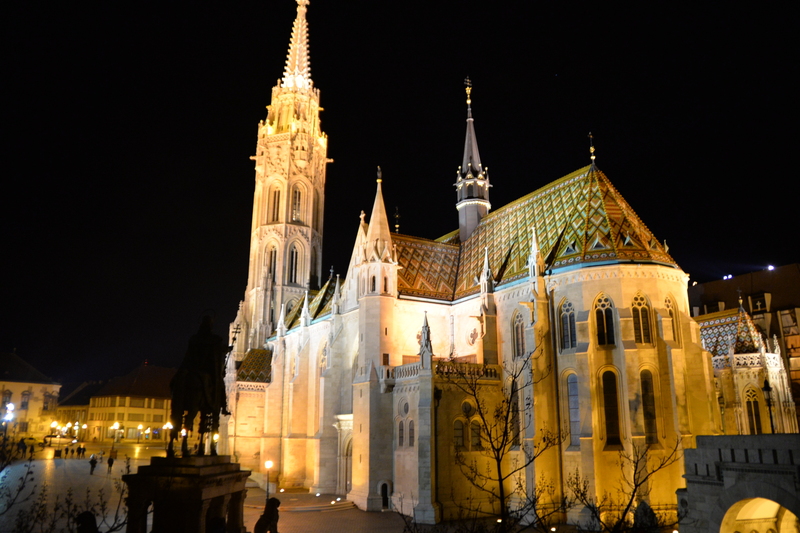 Then you have Buda Castle, which is the Royal Palace of Budapest. You won’t miss this powerful building sitting on the hill, also glittering in gold. This castle was completed in 1265, with its Baroque architecture, it had my eyes in awe. Me and my brother were having a beer on the top deck listening to music and took it all in. It was very pleasant. 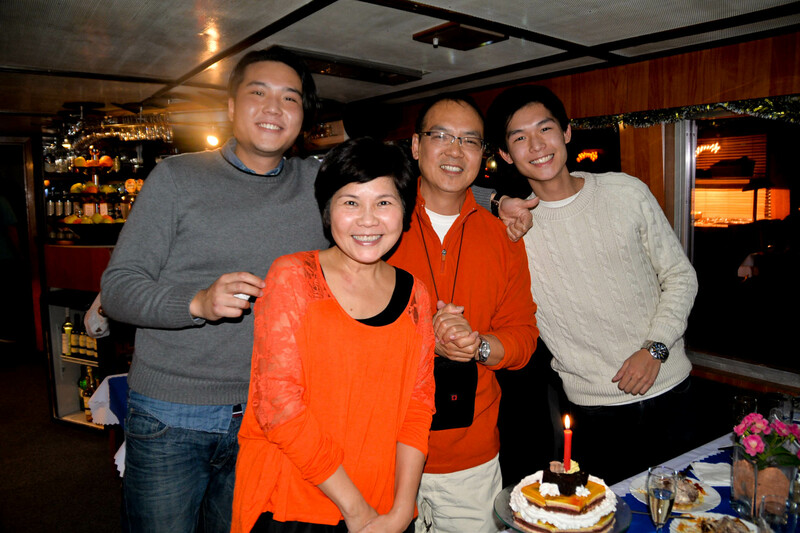 It was my dad’s birthday, as we were dining on the river boat. We managed to hire a musician who played an accordion and with a cake prepared. He was a happy man! 🙂 Everyone sang Happy Birthday and we all felt happy for my dad it was a really nice experience for sure. A good river boat dinner deal can be found here. Full after dinner? Why not go for a night stroll? 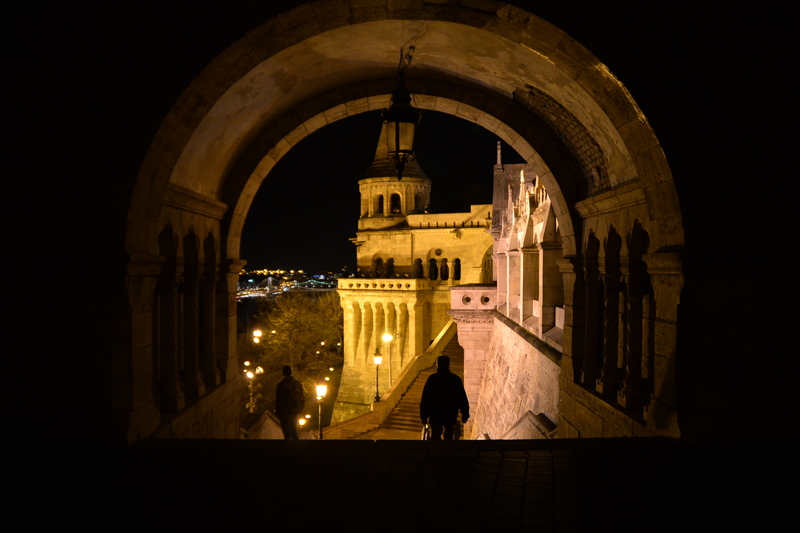 This place at night is stunning, it provides a great panoramic view-point to all across Budapest. The best thing is free entrance! You can take your time to stroll around without any worries about duration and cost, the opening time is 24/7! The only cost is if you wish you visit the upper towers. The architecture of this place is beautiful, the pointy turrets with colorful tiles on the roof are the signatures of this attraction.